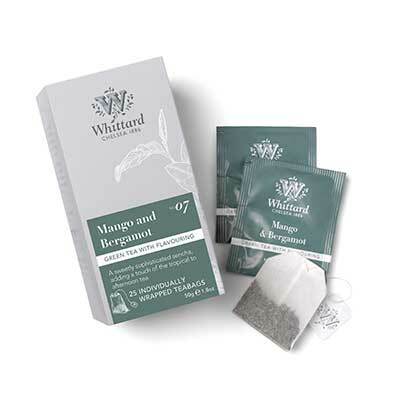 Looking for Mango and Bergamot Teabags? Fine brew of an evening. Mellow, fragrant and refreshing. Love the uplifting smell of the bergamot to start the day off and when I'm feeling sluggish after lunch. Grew up in China and I know about lots of teas. This caught my attention by just one sniff. Something you definitely have to try and guarantee you wont regret! Smells divine...smells more fruity then it tastes...perhaps a bit too green for me...although I may have let it brew a bit too long...definitely worth another taste!